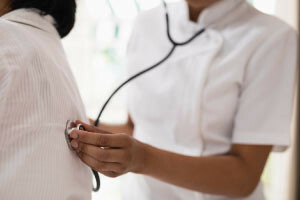 This free online Nursing Studies course will teach you how to carry out the most important functions and roles of a modern nurse. You will be shown how the nursing professional can best support both the patient and the physician during physical examinations and measurements of patient vital signs, and you will also gain an overview of the main duties of modern nurses. This will help you to boost your existing nursing skills in no time at all. This free nursing course begins by giving an overview of a systematic approach to conducting an effective physical examination. You will first learn the function of the physical examination, the role of the nurse during the examination, and the positioning of the patient. Next, you will study throat cultures and the main types of specimen collection, including the principles, procedures, supplies, and equipment used. You will then learn how testing determines the health condition of vital internal organs and body components. Next, you will cover the topic of cardiovascular, respiratory, gastrointestinal, and genitourinary systems as well as the musculoskeletal and integumentary system. You will learn how to measure a patient's vital signs, temperature, pulse, and respiration rate. You will also learn how to effectively interview your patient to gather subjective and objective medical data. Finally, you will study blood pressure and its physiological impact, and you will learn how to identify anatomical sites where blood pressure may be taken. This free nursing course will be of great interest to all healthcare professionals who would like to learn more about advanced practices in nursing, and will enable them to refresh their understanding of the procedures in the physical examination, specimen collection, and measurement of patient vital signs. It will also be valuable to learners who are interested in starting a career in nursing. Check out the course today, and get on your way to a fulfilling nursing career. Discuss the purpose of performing a physical examination. Discuss the factors to consider when working with diverse patient groups i.e. older patients and Infants. Discuss the principles, procedures, supplies, and equipment used to obtain different sample types. Discuss the reasons for obtaining a blood culture and the supplies equipment required. Identify the basic techniques used in performing a physical assessment. Discuss how to effectively interview your patient to gather subjective and objective medical data. Identify anatomical sites where the blood pressure may be taken.